Longford band Brave Giant will perform before 83,000 fans at Croke Park on All-Ireland Hurling Final day, Sunday, August 19. The band announced the news this evening on Twitter and they declared, "We are very excited about this one ! " Galway and Limerick meet in the All-Ireland senior hurling showdown, while the minor final sees Galway and Kilkenny cross hurleys. 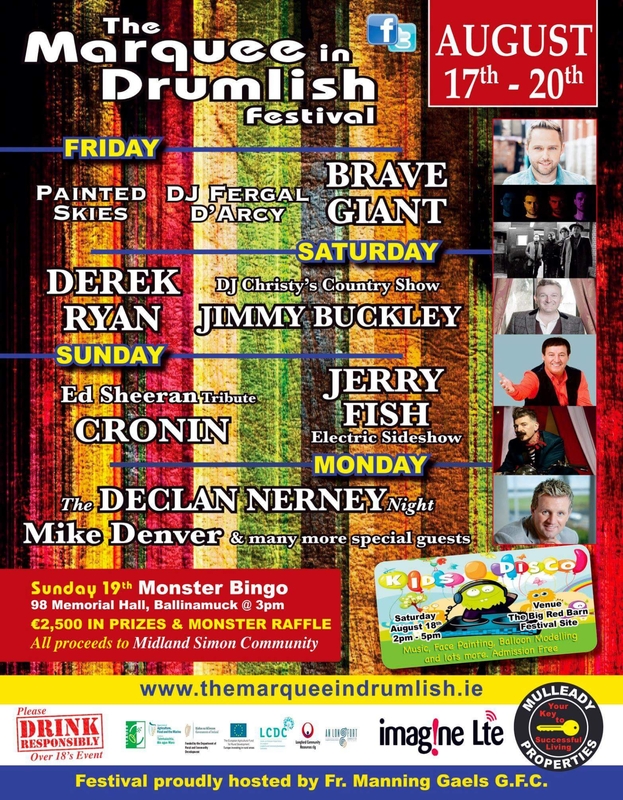 Brave Giant went down a storm when they headlined the recent Longford Summer Festival and they'll warm up for their Croke Park by playing at The Marquee in Drumlish Festival on Friday, August 17. Brave Giant will play The Button Factory, Dublin on Saturday September 22 and last April the band released a new single, 'Dakota'. They also performed alongside Hudson Taylor during her 2018 Irish tour. Formed in 2011, Mark Prunty (guitar/vox), Podge Gill (guitar/vox), Ross McNerney (banjo/mandolin), Emmett Collum (drums) are the four young Longford men of Brave Giant. Their love of Irish music is evident in their sound, a skilfully achieved blend of rock, folk and alternative influences. To keep up to date with Brave Giant, see @BraveGiantOfficial on Facebook.